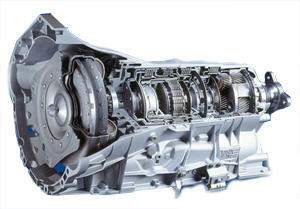 The GMC brands of vehicles distributed in the United States feature many gearboxes used in Chevrolet vehicles. Unlike the engines manufacturing for GMC, transmissions that are used are often interchangeable inside Chevrolet and GMC vehicles. This has created a simpler method for locating replacements for nearly any type of vintage or late model General Motors vehicles. The gearboxes found on this resource work correctly with straight 6, V6 and V8 engines produced by GM for North American vehicles. Turbo hydra-matic series transmissions used in the late 1970s are featured in a large percentage of the older GMC vehicles. These are usually designated with a TH transmission code. This identifies each unit as a particular build used before the automatic transmissions were prevalent in the Chevrolet inventory. Example gearboxes found here for classic GMC vehicles includes TH200, TH350, TH200C, TH200-4R, TH250C and TH400. These builds were used until the mid-1980s when GM switched to using torque converter driven transmissions for vehicle production. Compatibility for automotive transmissions has a lot to do with the size of each engine. The gearboxes produced after the turbo hydra-matic series was retired featured updated controls. These were offered in automatic configurations and the 700R4 was one of the first four-speed units produced. Additional automatic controls were applied through the 1990s when GM renamed many of its original transmission codes in U.S. vehicles. Some of these units include the 4L60E, 4L70E and late model builds like 6L90E and A1000 diesel. The use of manual transmissions is still going strong in the truck and sport utility division of GMC. The gasoline and diesel engines produced still feature optional manual transmission inventory. This PreownedTransmissions.com resource remains one of the largest on the Internet to find authentic Chevrolet and GMC builds of gearboxes for discount prices. The complete inventory listed on this resource is supplied through trusted distribution partners from within the United States. Quality is important when consumers research a replacement unit and above average quality is always offered here online. The expanded automotive inventory of replacement vehicle transmissions offered through this resource is easy to quote for prices online. The designed set of tools found on this website offers advanced methods of price research. Any warehouse inventory in stock is included in the quotes forms found on each page of this Preowned Transmissions company resource. Using the sets of tools provided, any vehicle owner or other buyer can find exact pricing. A toll-free telephone number solution is part of the alternate options for discovering transmission for sale pricing. The authentic GMC gearboxes marketed through this resource online are provided with a two-year warranty and free shipping upon each completed sale. Buying smart online means choosing the best resource to find classic and freshly built transmissions.